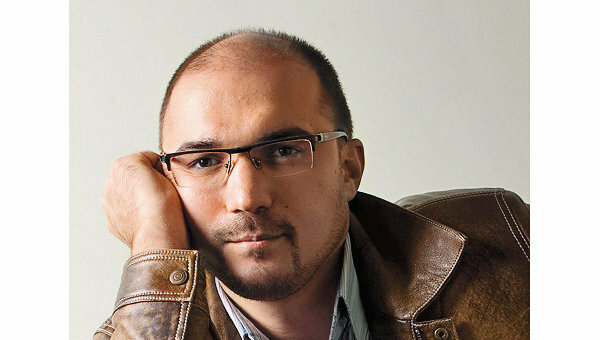 Andrey Miroshnichenko is the author of Human as Media, a book I have cited often in this blog. He and I became connected as fellow scholars who turn out to have an astoundingly similar perspective on the impact of media on politics. I say astounding because we wrote our books in complete isolation from each other yet arrived at almost exactly the same place, used many of the same words, and even reached for the same obscure citations (Ortega y Gasset being a favorite). Andrey and I take the similarities to be meaningful. We think we are on to something. We may even be advancing on that phantom, truth. Andrey has just produced a brilliant and thoughtful review of The Revolt of the Public. As old-fashioned bloggers used to say: read the whole thing. It’s worth it. Reading Gurri’s book was for me a particularly fascinating experience, because of the many overlaps between his ideas and those presented in my book “Human as media. The emancipation of authorship.”(Miroshnichenko, 2013). Gurri and I were not familiar with each other’s work until I came across his book and wrote to him. Our understanding of the present moment is so strikingly similar that we both turned to the same, regretfully obscure, “mass man as a spoiled child” quotation taken from Ortega y Gasset (Ortega y Gasset, 1930). As might be expected, he and I don’t agree on every point regarding the great media-driven transformation of social and political life – what I have called the crisis of authority. But I find his disagreements to be the most interesting aspect of the review: they are fascinating, instructive – and probably correct. Gurri has researched the manner in which the Fifth Wave influences politics. But at some point, with growing Internet penetration, media ceases to be just a factor of the political process; quite the reverse, political processes become internal parts of the media environment. This entry was posted on Wednesday, March 18th, 2015 at 2:52 pm and is filed under books to read. You can follow any responses to this entry through the RSS 2.0 feed. You can leave a response, or trackback from your own site.